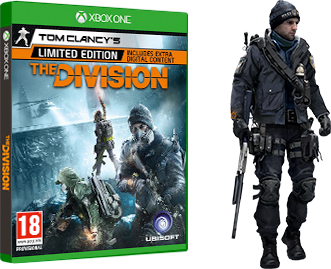 If you want to learn more about the different Tom Clancy’s The Division game editions and pre-order bonuses (Attention: Release is on March 8th, 2016), or simply can’t decide which one to buy, then take a closer look at our overview below. Please also notice that some of them are only available in certain regions or countries. 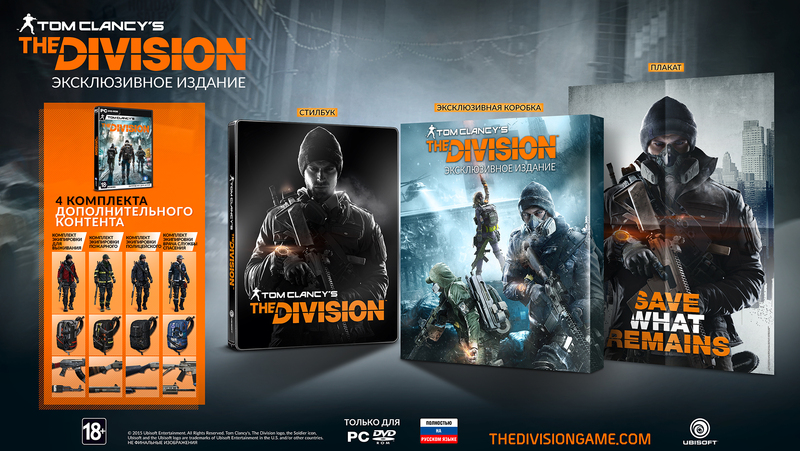 Are you looking for The Division 2’s editions? 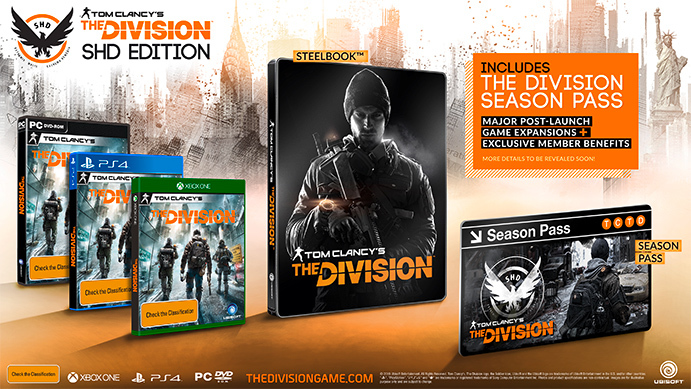 More versions as well as the Season Pass can be found here. Tom Clancy’s The Division will also come with a Season Pass including dozens of content drops, events and much more. Find out more about it here. Every player will be able to unlock the National Guard Gear Set sometime during the game’s progress, while buyers of the Season Pass, which implies the Gold Edition, Sleeper Agent Edition and “SHD Edition” Steelbook [AU], can use it on day one. Furthermore this gear set has nothing to do with any of the available pre-order bonuses. 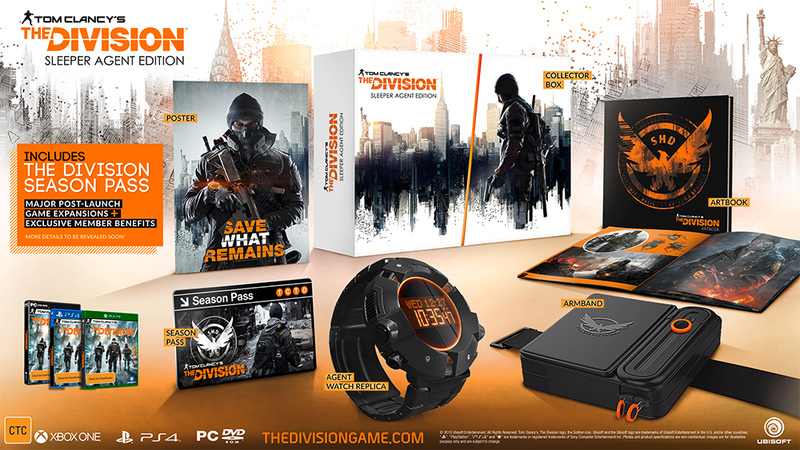 The video games retailer GAME has an exclusive limited edition in its offer, that is sadly for the consoles Xbox One and PS4 only and consists of main game plus two additional DLC packs. The packaging might look like a bit misleading, but both packs listed below seem to be actually part of it. Featuring a unique look for your agent, a Go-Bag that increases resistance to burn damage and an early access to this exclusive custom skinned Super 90 shotgun. 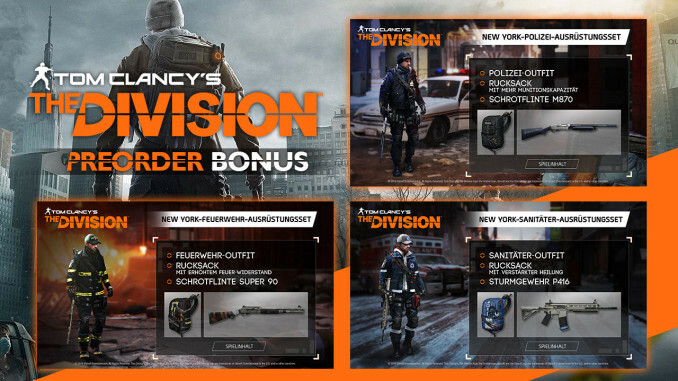 Featuring a unique look for your agent, a Go-Bag with increased ammo capacity and an early access to this exclusive custom skinned M870 shotgun. The Tom Clancy’s The Division Exclusive Edition (ЭКСКЛЮЗИВНОЕ ИЗДАНИЕ) is sadly only available in Russia and currently listed for just 2499 Rubel ~ € 30,63 in the shop OZON.ru and also purchasable through the game’s official website. 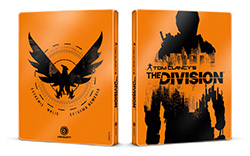 This is an exclusive steelbook edition for (South East) Asian regions. Unfortunately we haven’t found a single place where it’s available to buy and the following video is the only information we have got about it. More about its announcement. 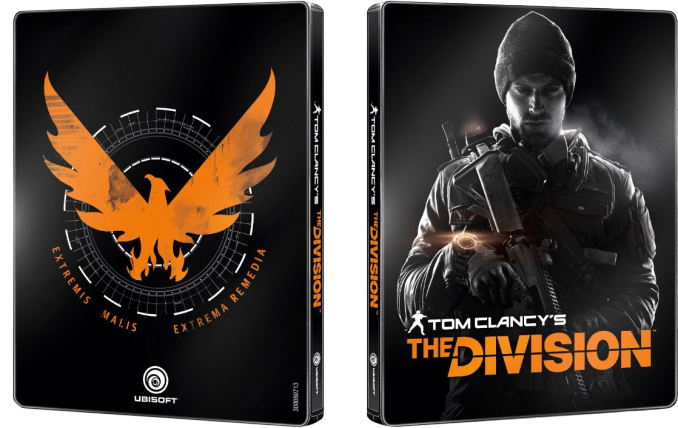 EB Games Australia as well as Amazon.de have a special Steelbook version of the game in their offer. Also mentionable is, that the version at EB Games additionally includes the Season Pass. 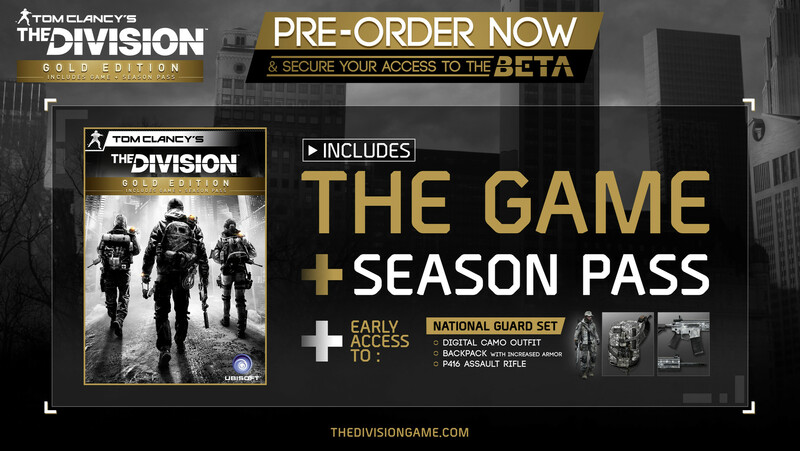 For pre-ordering the game you will receive a guaranteed Beta-Access. 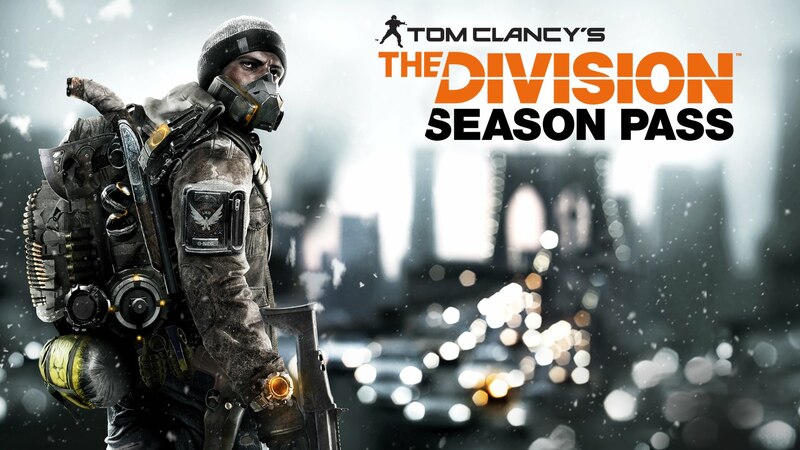 The beta starts this December on Xbox One first and will be available on PC and PS4 early 2016. 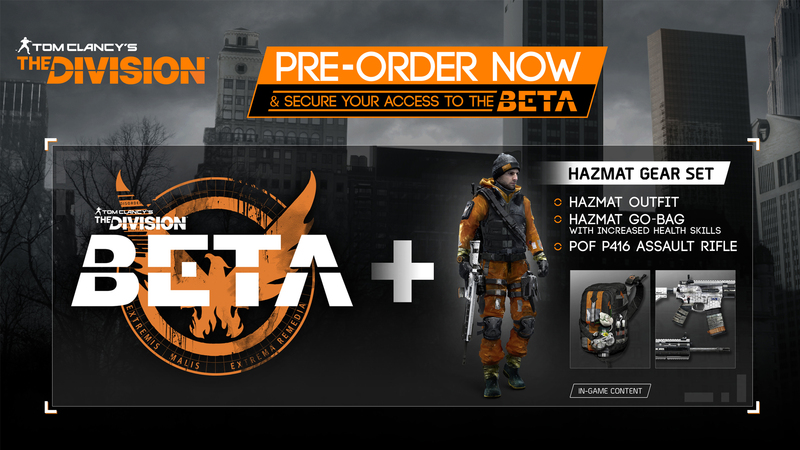 The “Hazmat” Gear Set as well as other gear sets and pre-order bonuses from the Season Pass can be redeemed by unlocking your Base of Operations first and then speaking to the Rewards Claim Vendor who is located inside. 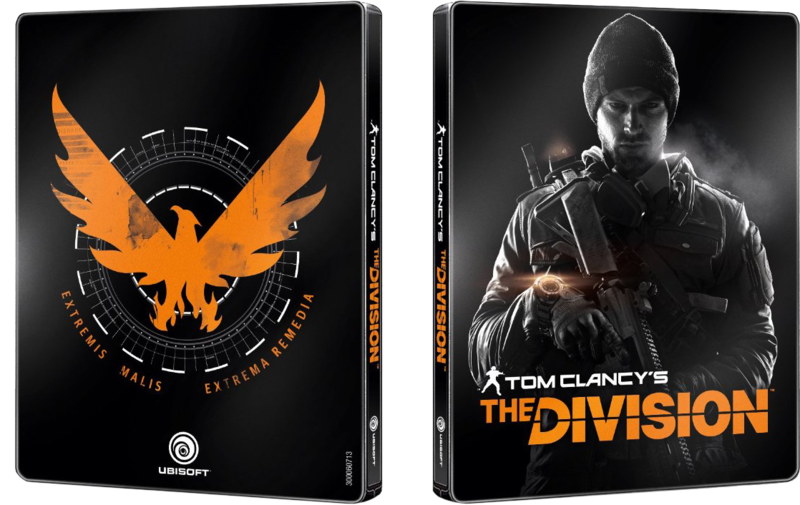 An exclusive Steelbook can be grabbed in the Uplay Shop, in case you have chosen a version with physical disks. This pre-order bonus was spotted in a Swiss store called World of Games. 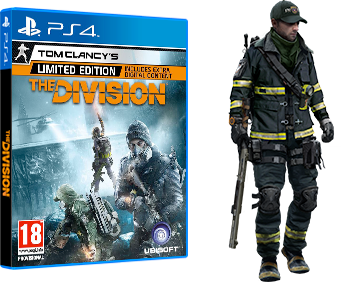 They are offering 3 skin packs in total, including the New York Paramedic, Police and Firefighter pack. 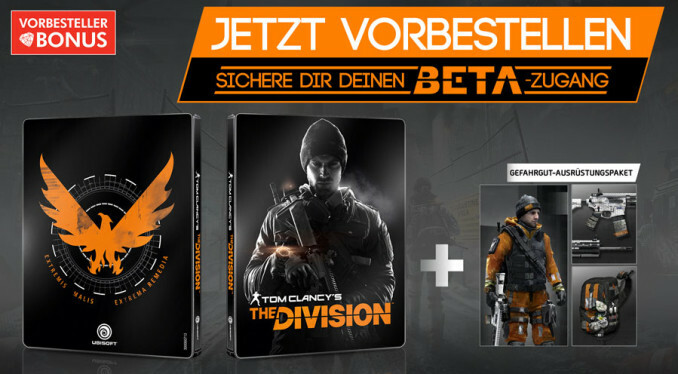 You will receive a steelbook if you pre-order at GameStop (Germany, Austria and Switzerland).